2018/19 HS Elite Summer Tournaments: In 2018 we will be repeating our successful summer schedule, combined with the same number of practices for maximum training. Summer 2018 East Coast Trip: This summer we tested a new recruiting trip format in which we chaperoned players to games with the Long Island Sting. This proved to be very beneficial so we will be adding a 7-10 day training and recruiting trip to the tail end of our summer 2018 schedule. The trip will include participation in Hotbeds with Long Island Sting, and we may enter a full team into an additional event. Players will be chaperoned by Dragons coaches and staff. Schedule: Games will begin Friday at 5 PM and end on Sunday by 3:30 PM. All teams will have one game scheduled for Friday evening so please make sure your team arrives with plenty of time to prepare for their first game. Player Registration - Click HERE. Tournament Format & Rules: Tournament Rules - Click HERE. Schedule: Games will begin Saturday at 8 AM and end on Sunday by 4 PM. 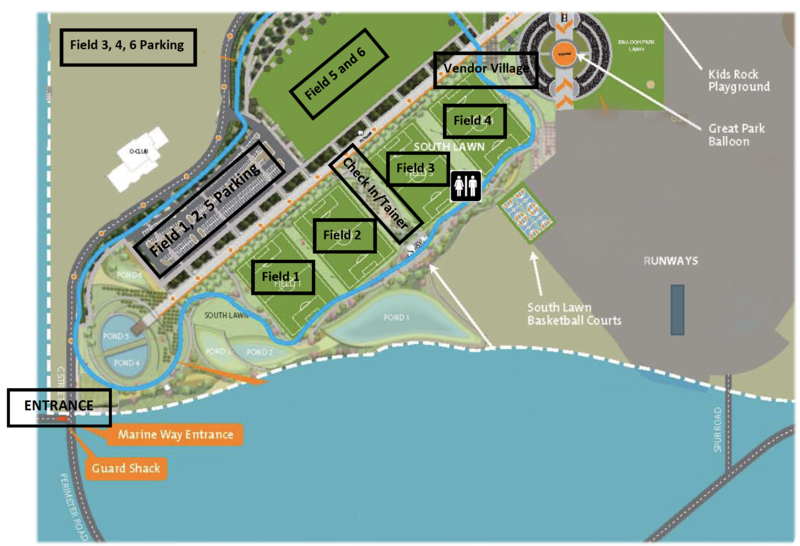 Parking: There typically is no parking fee at the OC Great Park.